Collections by Weiser offers five handlesets to choose from. 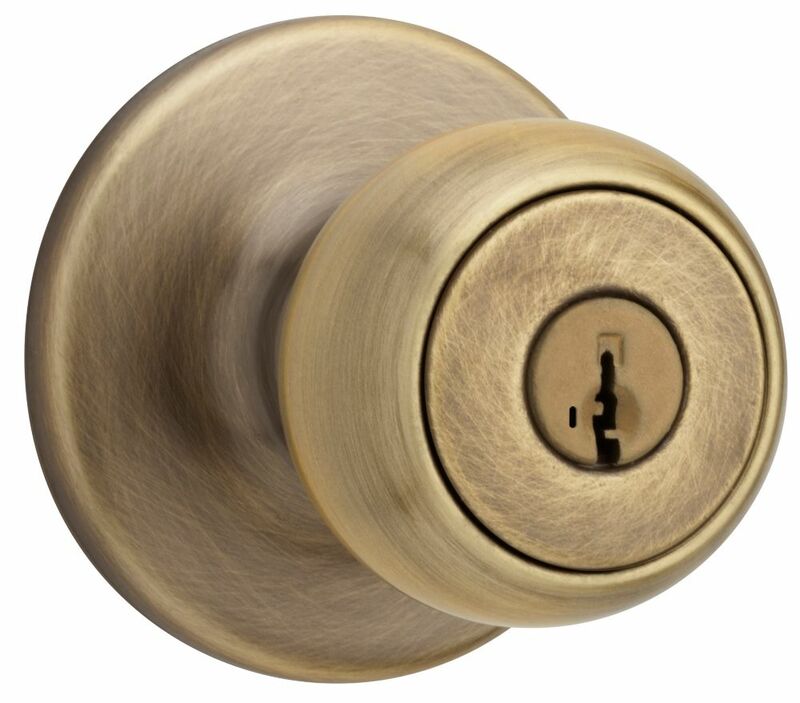 These handlesets offer solid forged brass construction and Grade 1 cylinders for uncompromised security. Exuding a sense of timeless beauty, the oval shape and sophisticated lines of the Brixton knob make a lasting impression. Both knobs/levers can be locked or unlocked by key on the outside, or turn button on the inside. The crisp, clean appearance of the Satin Nickel finish adds to the overall look of the product and brings a modern feel. Baldwin has a 60 year legacy of craftsmanship and innovation. Rated #1 in quality by builders and contractors, Baldwin is pleased to offer a line of luxury hardware for the discriminating consumer, our Prestige Series. Feel the difference - Baldwin hardware is solid throughout. With a 60 year legacy of superior style and quality, Baldwin is the choice for an elegant and secure presence. The classic round shape and intricate lines of the Alcott knob complement and enhance a variety of design styles. The Polished Brass finish adds to the traditional look and feel of the product and makes a classic statement. Both knobs/levers can be locked or unlocked by key on the outside, or turn button on the inside. SmartKey Re-key Technology allows you to control who has access to your home. Re-key the lock yourself in seconds in 3 easy steps. Have you recently moved or had a child lose a key. Its time to re-key. SmartKey provides the highest level of residential security and features BumpGuard to protect against lock bumping. Fairfax Antique Brass Entry Knob The Elements Series<sup></sup> provides an expanded choice in Fashion Doorware at an affordable price. In decorating your home, choosing the right paint, wallpaper, tile and trim is important in creating a personal design. The Elements Series of Fashion Doorware will support and enhance your decorating decisions. Simple, elegant, and clean, the Fairfax knobs fits snug in the palm of your hand Both knobs/levers can be locked or unlocked by key on the outside, or turn button on the inside. The complementary Antique Brass finish offers a warm feel with deep accents in the contours of the product.